The ICW-1000M is the multicharger for the ICW-1000G dual band sip Wi-Fi phone battery from Incom. 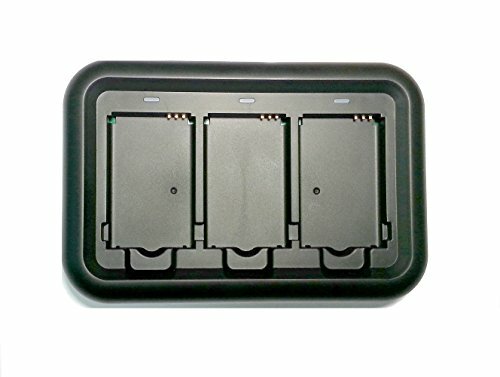 Holds 3 x ICW-1000B light weight li-ion 3.7V batteries (not included). Part of the ICW-1000G replacement solution for Avaya/Nortel or cisco sip Wi-Fi phones. Includes 100-250V, 50-60hz, 0.3A power supply. If you have any questions about this product by Incom, contact us by completing and submitting the form below. If you are looking for a specif part number, please include it with your message.